Salesforce ranked as best sales software once again! Earlier this month, GetApp awarded Salesforce the top spot in their quarterly ranking of the best CRM solutions. This is the second quarter in a row the Gartner company named Salesforce as a leader. Zoho CRM took second place, and Pipedrive came in third. The “Category Leader” ranking serves as a reference point for businesses looking to invest in sales software. GetApp researcher Suzie Blaszkiewicz said that there’s a lot to consider when purchasing a CRM, but the first thing people usually look at is price. “In terms of functionality, most CRMs come with standard contact management, email integration and lead scoring, but beyond that, [people should] consider features like task assignment, social media integration, forecasting and analytics,” she told us. CRMs were evaluated on a 100-point scale, with each of the listed factors counting for 20 points. Salesforce received the full 20 points in security and integrations, 19 points in user reviews and mobile app availability, and 17 points for media presence. “Salesforce has done a terrific job of making it to the top of the ranking, 14 points ahead of its nearest competitor with an impressive total score of 95,” Suzie said in the press release. 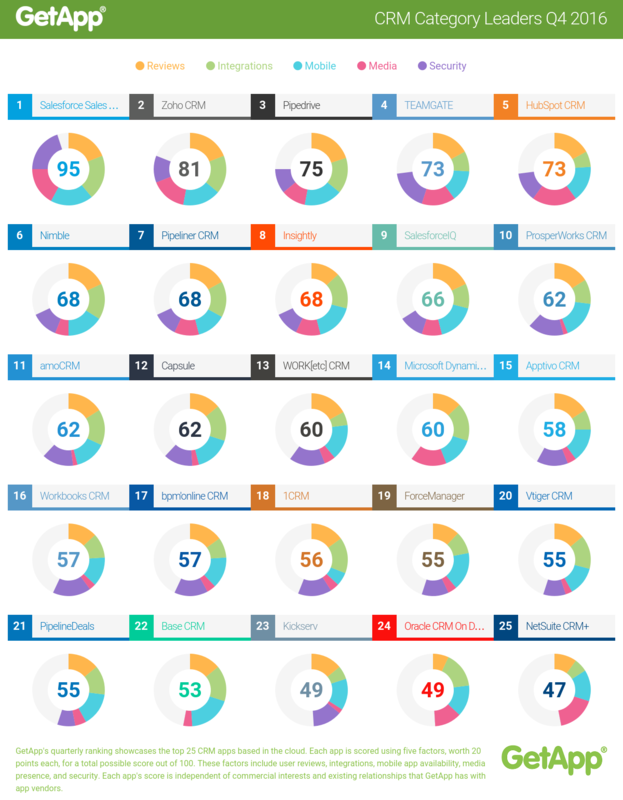 Check out the chart below for GetApp’s evaluation of 25 CRM systems. Here's why GetApp named Salesforce as a category leader in their ranking of the best sales software. 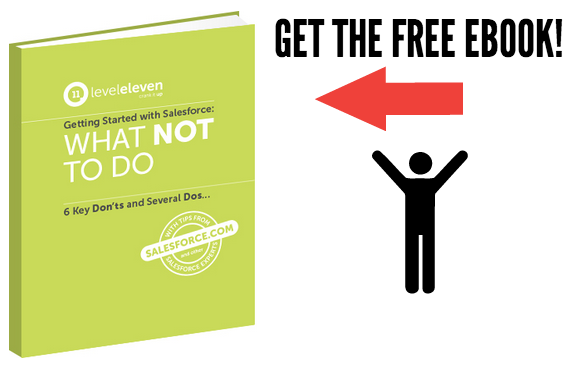 Check out this inforgraphic with 25 CRM solutions.